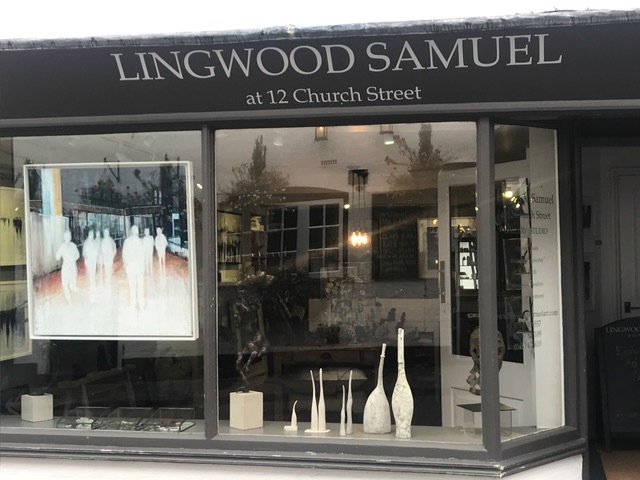 Situated in a Grade II listed building in historic Godalming, Surrey, Lingwood Samuel at 12 Church Street is an exciting and original contemporary art and craft gallery incorporating studio space for the artist owners: Caroline Lingwood and Margaret Samuel. 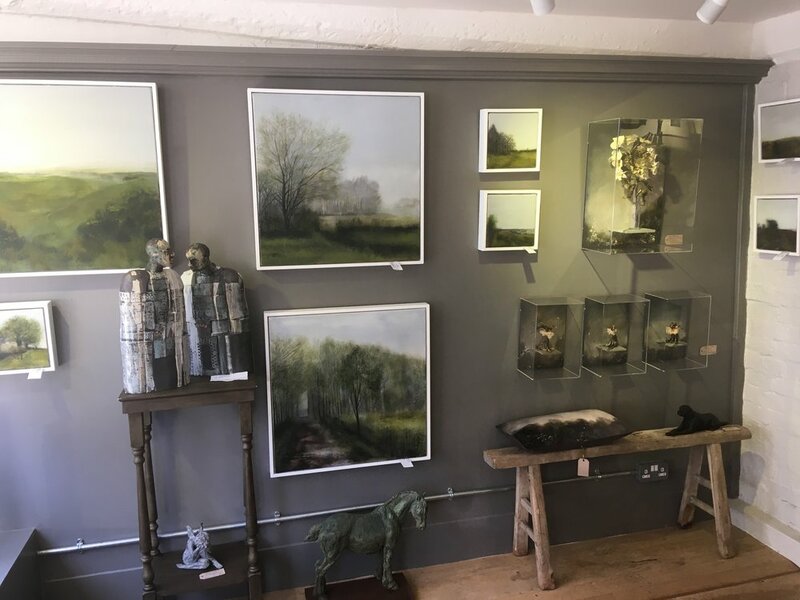 The gallery holds four to six exhibitions a year showcasing carefully curated work from artists from all over the UK: paintings, ceramics, sculpture, mixed media, glass and jewellery. Work is displayed in a setting very different from the traditional white cube gallery, to give an idea of how art can be incorporated into the home. There are three steps up into a vestibule from the street and then a stepped area within the gallery itself. This may present a problem for some visitors, however we are always happy to help visitors into and around the gallery.